Recently,many people encountered the same situation, the connctor of the HP PhotoSmart C3180 Printer AC Adapter purchase at few days ago can not fit the printer. The frist reason come to your mind is that the seller shipped wrong printer adapter,so the next you may need a complex processing to solve this question: email the customer service,got reply at the next day,if the customer service confrims they shipped wrong ac adapter,there may be need another one week or more to get the exchangment. 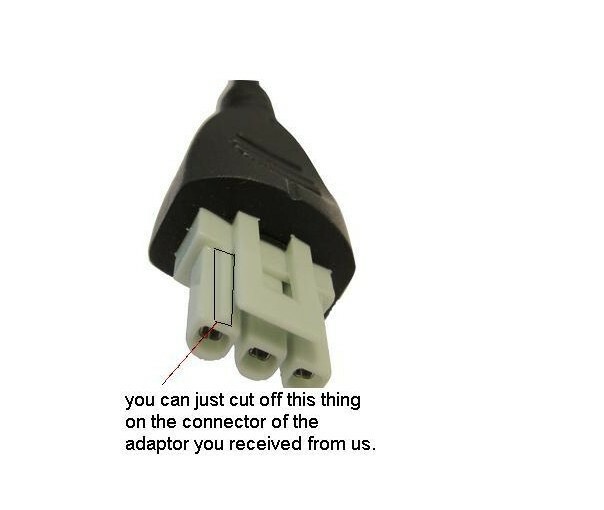 Actually,you should have had easier method to solve this question, if non-connective plastic part seems as an extra part from your original one,you could cut it ,this part has no accurate function.